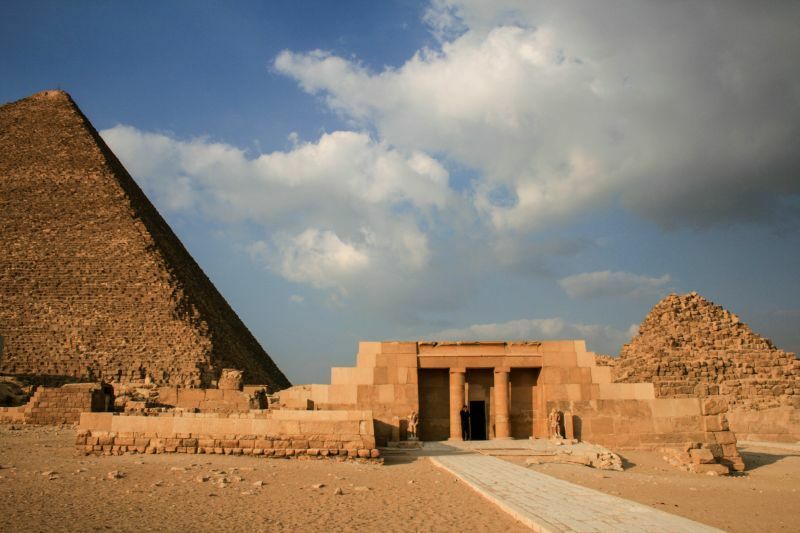 Claustrophobia Strikes in Cheops Pyramid! Going to Egypt had been a dream of mine since I can remember. From old Hollywood movies to reports in grammar school, I was fascinated by the pharaohs, their tombs, their pyramids, all of it. 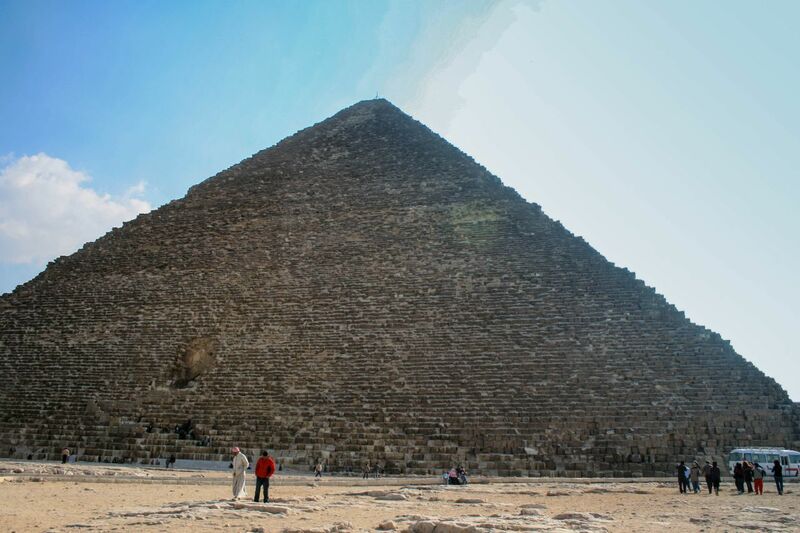 Visiting the pyramids of Giza was not something I was passing up! When we were heading to the pyramid fields, we were prepared for a couple of things. We were ready for the touts. We were ready to pay more than the locals (a lot more). We were ready to see lots and lots of tourists, psyching ourselves up to be patient and wait for it…wait for that perfect shot. What I wasn’t prepared for was claustrophobia. Have I ever told you I’m a bit claustrophobic? It’s not debilitating. It’s not a huge handicap, but every once in a while it kicks me in the stomach and I double over with fear. 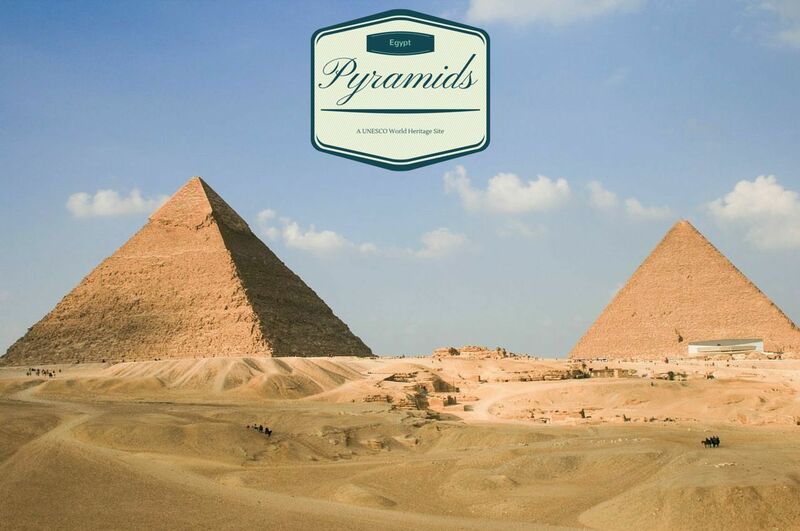 You are more than welcome to enter the largest pyramid, for an extra fee of course, and we were keen to do so. From the bright sunlight to a dark interior you step. The temperature is comfortable with a long-sleeved shirt, and you start to get that feeling of Wow! I am in a place that has been on this planet for thousands of years. Did I want to go up to the next level? Heck yes I did! Oops, and here comes the but…. To climb to the next level, the authorities have built a wooden pathway. Even with my 5 foot 3 inch height, I had to stoop. So far, so good. But then! Then I heard noise. Lots of noise. I heard a tour coming down. I staggered back out of the wooden frame. Down came people one, two…three side by side. They kept coming and coming. My vision starts twirling, filling me up. I can’t breathe! I have no idea how many people there were, but I just knew that I would be smashed up against the wall and not be able to move in this small wooden tomb. As much as I liked tombs, I didn’t want to die…not in this one. No thanks! As it turns out, the people coming out of this squarish tube were Japanese. With tears streaming down my face, I kept asking them. Kowai ne? It’s scary, isn’t it? They didn’t agree, and probably were thinking that the only scary thing they had seen was me. Well, I was scared. Really scared. Scared so bad that I was gasping, crying, and desperately trying to get a grip. Humiliation always makes these situations worse, don’t they? Finally, after about 15 minutes, and giving up trying to convince the Japanese that it really was scary, I started to calm down. The tourists dissipated. Jim and the girls came down to get me. They tried to convince me it was all right. Just try it. But I kept thinking that I might get up there, but what happens if another tour comes and I couldn’t get down? Nope, I was staying right there. I told them to go back up and enjoy themselves. I had no problem waiting. No problem at all. So all in all, I never went up to the second level. I did go in the pyramid. I just didn’t see the whole thing, and you know what? I’m okay with that. 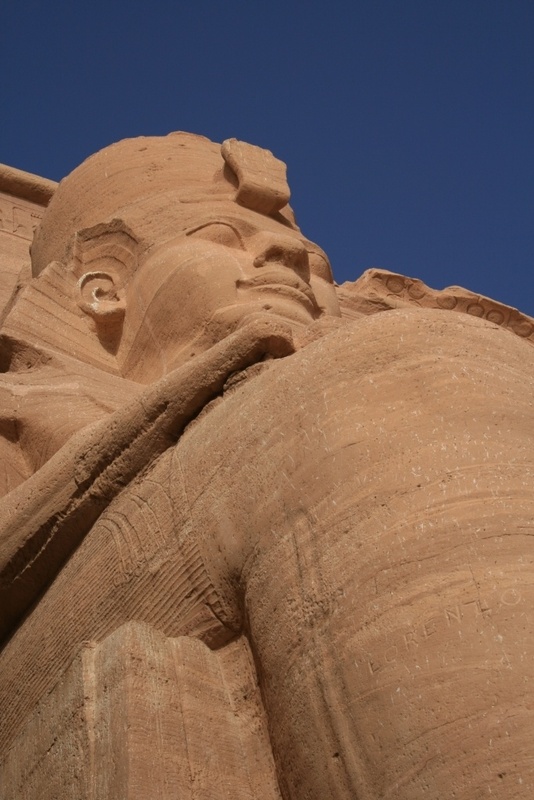 As far as I’m concerned, visiting…and crying in an Egyptian pyramid was truly a once in a lifetime experience! I can so relate to your story, Corinne! I am very claustrophobic, to the point where I can’t climb into any of the narrow or spiral shaped tower or crawl into a small space. But for the crowds, I’d probably manage somehow, but when I feel pushed from all directions, I panic. I’ll never forget when I asked my husband to turn around and slap my face very, very hard so that I can get out of shock. We were climbing in the Statue of Liberty and the space was so tight that crowded that you could almost feel the pressure of the bodies around you. Problem was that we were in America and people around would have probably tied him up after that, so he didn’t want to do it, so I had to pinch my hand until blood came out. 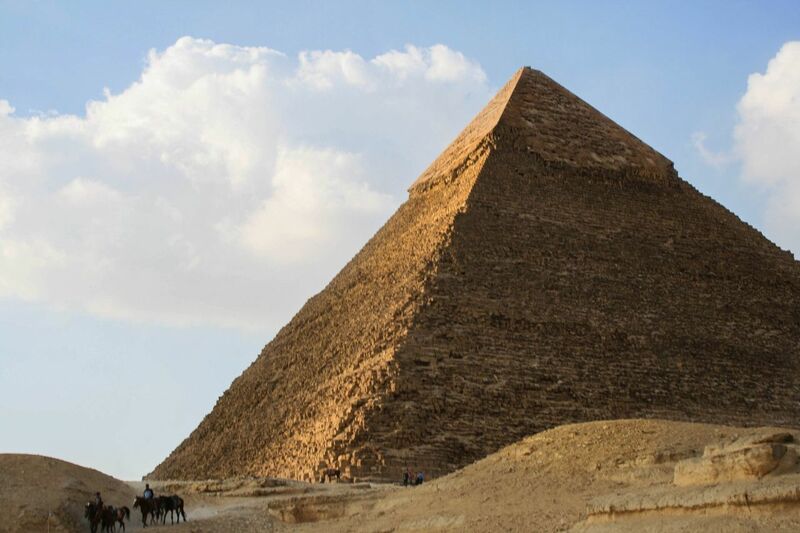 I would love to visit the pyramids of Egypt, but I’d never attempt to get inside. By know I know my limits. Anda, I keep trying. I almost lost it in the mines near Krakow, but a German girl one flight of stairs below me lost it first. She gave up and left, and somehow that gave me the strength to keep going. Minds work in mysterious ways. I remember feeling a bit like that in a narrow staircase in the cathedral in (I think) Siena. I don’t like enclosed spaces much. Anabel, I think if it had been an empty space I would have been ok. Honestly it was the people packed from one side to the other that gave me trouble. That’s some scary stuff. I can’t imagine how frightening that must have felt. I’ve been in caves that sometimes felt stifling and have had friends refuse to go to certain places b/c of their fears. But being in a tomb, well, that’s understandable! I hope you aren’t feeling bad about it anymore. Lani, Not at all. I was fine as soon as I made the decision not to do it. Half the crying was from my feeling incapacitated. That is one hell of a traumatic experience, I must say. My problem is vertigo, but over a period of time, I have got over it. We all have a little something at times. I would too be with you. I think that those who built the pyramids and those who can provide tours and work within them are special people. I would’ve embraced my humiliation . Rob, I’m still embracing it…but I do keep trying to do caves, underground cities, you know…all those claustrophobic places. Mark, It’s much funnier now! You just froze did’nt you? Seems like a thrilling experience nonetheless. Ami, Exactly…It was very difficult! But I have great memories of the rest of the pyramids, so that makes up for it. Marta, Thank you. I have to admit it still feels a bit humiliating, but you are right. I am fine not doing those last few steps. That sounds traumatic. I am so sorry you went through this. Glad to hear you did get through it and found enjoyment in your overall experience. Heather, I did have fun. One little hiccup can’t put me off. And, thanks! I am not claustrophobic at all, but I do feel for you Corrine…that must have felt utterly awful, such a traumatic experience! 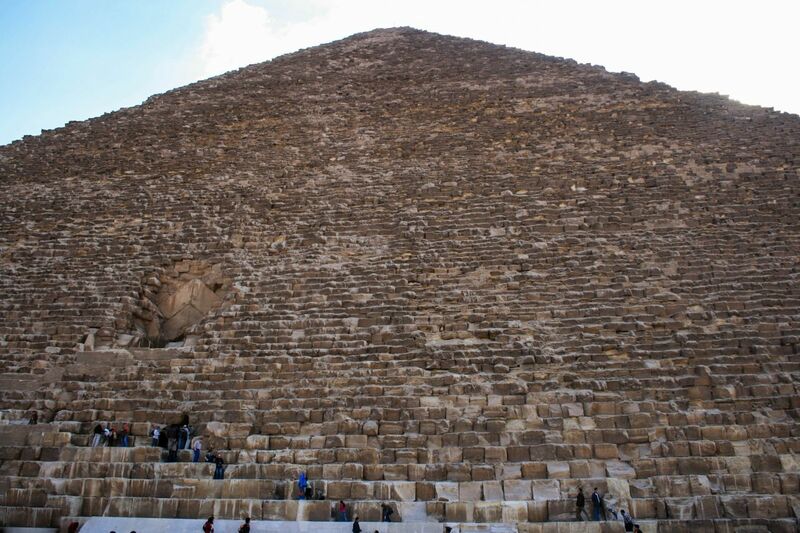 Would so love to visit the pyramids, both kids are dying to go, but think we will be waiting a few years till we go. 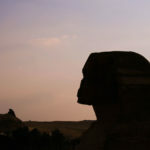 Samiya, I think every child, young and old, wants to visit Egypt. It’s really special. I am afraid of heights – well, really falling from a height – I’m ok if something is up high but enclosed. A few years after we were married we went to Paris and I had a complete panic in the Eiffel Tower elevator. I didn’t want to go to the top – only the second level but neither my husband or I spoke French and I couldn’t communicate what I wanted. So I lost it. My husband saw a side of me he’s never seen – and not much since. And 27 years later I can still remember that feeling of panic. Oh and by the way, I was able to get off at the lower level after making a complete fool of myself. C’est la vie! Jill, And now you look back at it and laugh…but at the time….ohhhh. I don’t struggle with claustrophobia but I’m also not one to take risks. Lol. And there’s just something creepy about a fear of being trapped. Jessica, Exactly. Creepy. I do try to take some risks, but I’m basically a wimp at heart. Great story! I have a fear of going under water that I hope to conquer this year, I have the feeling there may be some embarrassing moments though. Cathy, The embarrassing moments of today are the memories we cherish tomorrow! Noemi, It’s no fun! I agree sometimes it hits me and sometimes it doesn’t.